The two-day event will be held in the Hunter Valley of New South Wales at Chateau Elan, kicking-off on Sunday May 19 and concluding with a field day on Tuesday 21. 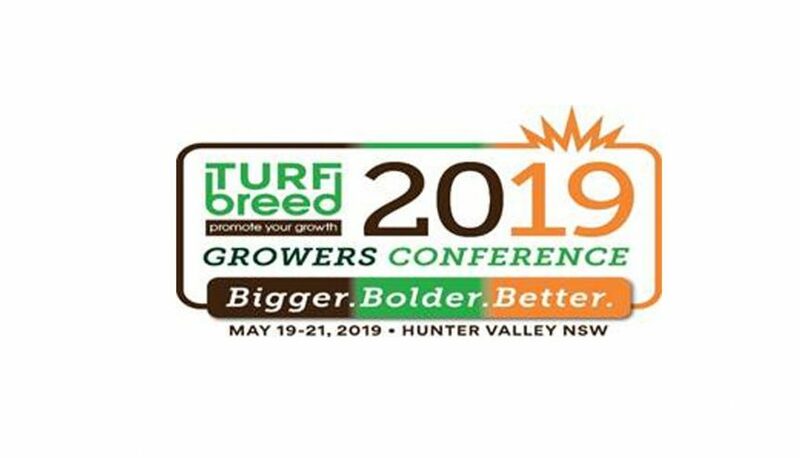 “We want TurfBreed growers to gain knowledge and build relationships within the TurfBreed grower community, our aim is for attendees to walk away with information that will improve their profitability, safety and sustainability,” TurfBreed’s Managing Director, Steve Burt said. Steve explained that: “We had positive feedback from the 2018 Conference, and are aiming to be Bigger, Bolder and Better this year, bringing an informative and entertaining program focused on supporting a grower’s businesses. Heading up the list of speakers is one of the most respected American turfgrass researchers, Professor David Kopec. His work quantifying the annual turf consumptive use has changed the way golf courses and turf growers use water world-wide. In coming to Australia Dave is keen to share his experiences “…in using varieties/genetics to create fit-for-purpose grasses for the consumer”. Another keynote speaker is Mandy Johnson who is a best-selling author and has ‘in-the-trenches’ experience as a start-up founder and director of global travel retailer Flight Centre’s United Kingdom operation, opening a store a month. Mandy will talk about getting your workplace in order in terms of HR and will stress how the workplace is a grower’s “tribe” and needs constant attention. Tony Gattari from the Achievers Group is an exceptional speaker on marketing and will assist growers change the way they think about their customers. On the Work Health & Safety (WH&S) front, Joany Badenhorst will share her story. Joany lost her leg as a child in a tractor accident on her family’s farm and was the first Australian female Para-snowboarder, competing in the Sochi Winter Paralympic Games. Ambassador for New South Wales ICare, Joany shares her personal story in the hope that her experience of a workplace accident, and the affect it had on her, her families, friends and colleagues, will help others to work smarter and look out for each other. Steve Burt will team-up with Gavin Youngman from Focus Creative to discuss the full package of marketing programs occurring and in the pipeline. Focus Creative manage TurfBreed’s marketing and has developed the myhomeTURF campaign. On their agenda will be; the year in review, issues as Steve sees it for TurfBreed moving ahead, the significant work in asset (imagery/video) production for the marketing of varieties as well as how TurfBreed is looking at lobbying Governments for specifying high valued, fit-for-purpose grasses into government jobs, such as RMC. The final day’s field trip will allow growers to view quality work being completed on a brand-new green fields site that will soon be producing high yielding turf. Steve explained that attendees will “…learn more from the Hunter Team as they share advice on soil profiles, water savings, turf varieties and much more”.